AAII SIG Meetings Photo Album. 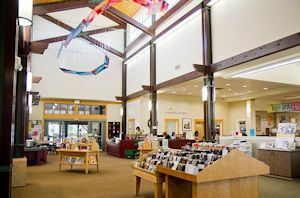 We meet in the Meeting Room of the South Natomas Library at 2901 Truxel Road, Sacramento, CA 95833. Bernard E. Scoville Email about January 24 meeting. Bernard Scoville and Ed Connerly 11-15-2018 report on investing in preferred stocks. Bernard E. Scoville January 24, 2019 Investor Mistakes Report. Ron Black January 24, 2019 report on Stochastics. Bernard E. Scoville Email about Febuary 28, 2019 meeting. Bernard E. Scoville Email about March 28, 2019 meeting. Bernard E. Scoville Email about April 25, 2019 meeting. Starting January 24, we will have meetings on the the fourth Thursday of each month at 6:00 pm. Report of November 15, 2018 Meeting. Report on January 24, 2019 Meeting. Report on February 28, 2019 Meeting. 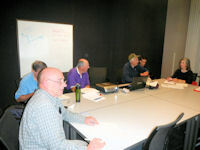 Report on March 28, 2019 Meeting. stocks - the ticker, the % gain or loss, and the date purchased. Then Ron Black will demonstate AAII's Stock Investor Pro. May 23. To be arranged. June 27. To be arranged. July 25. No meeting; vacation. August 22. No meeting; vacation. September 26. To be arranged. October 24. To be arranged. November 28. To be arranged. December 26. No meeting; Christmas.